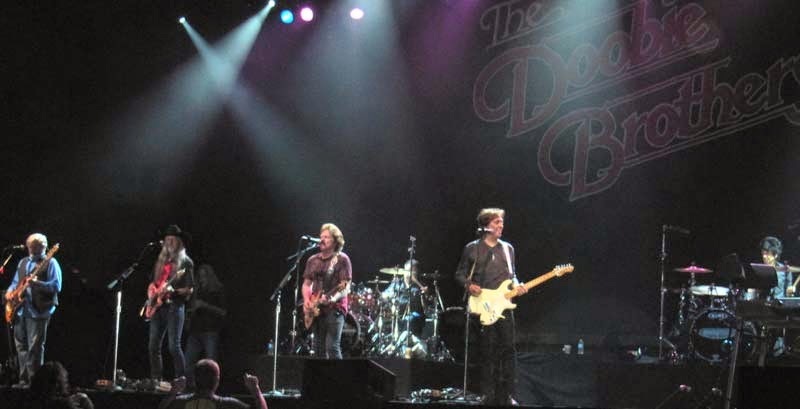 Last Tuesday I took a day off work and travelled north to Red Deer, Alberta to hear the Doobie Brothers and I wasn't disappointed. Like the show in San Antonio last year, they rocked the building, playing all the songs that I wanted to hear. They opened with Jesus Is Just Alright and performed my favorite, China Grove, for the encore. The crowd of 3,000 loved it. The only parts I wasn't so fond of were the songs from their upcoming new album, Southbound, which is filled with country music. 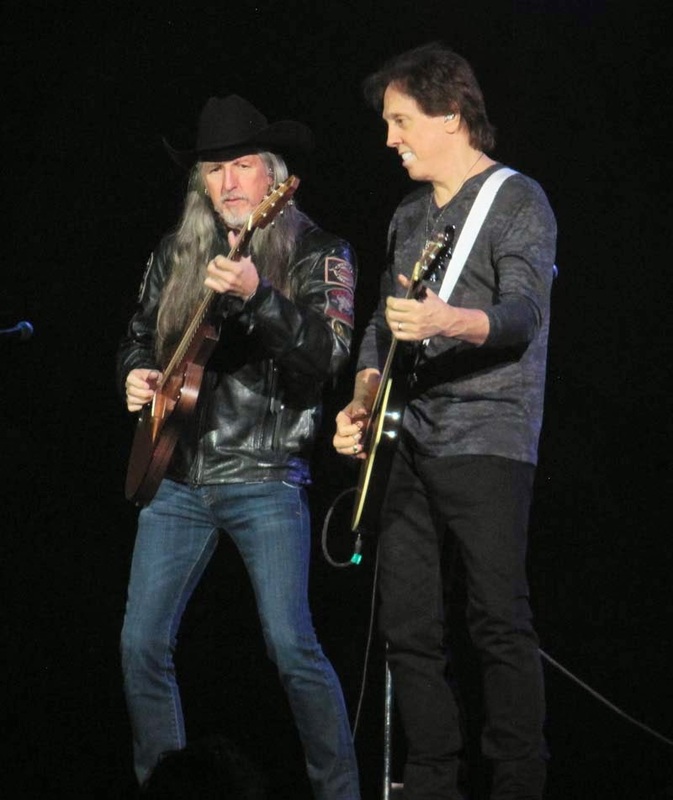 As a non-fan of country music I was only interested in classic Doobie Brothers and new rock songs. Fortunately there was plenty of what I wanted to hear. One of my favorite songs of the concert was a blues number that I'd never heard the Doobies do before, Long Way Home by Sonny Boy Williamson. I wish they would record it, and if they already have, I wish I could find a copy of it. It was amazing. After about 40+ years together they are very tight musically. They sound like they do on their albums, only better. There's nothing like live music! 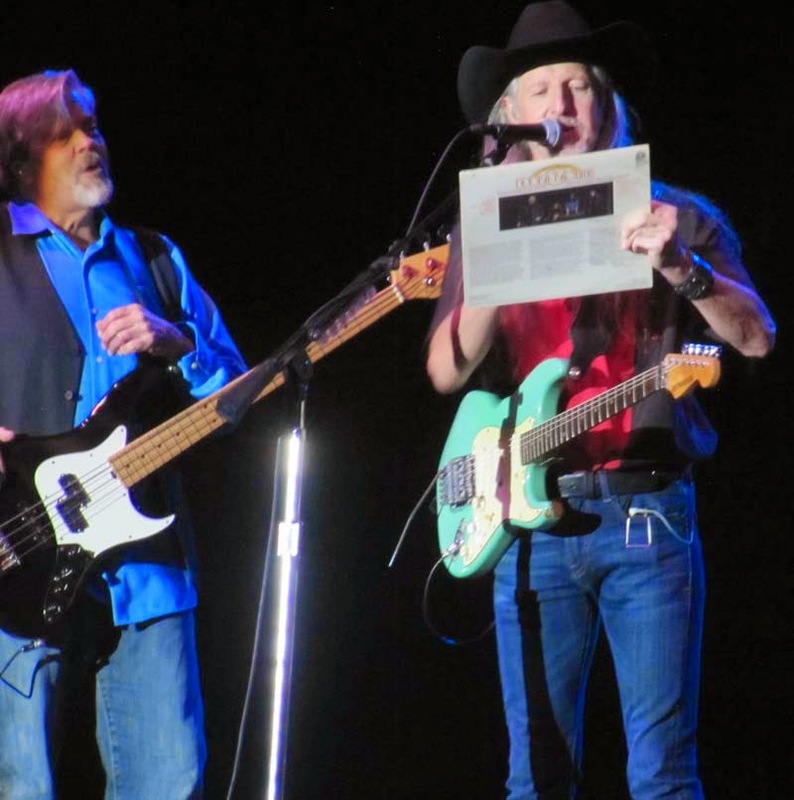 At one point someone in the audience passed an album onstage, looking for an autograph. Patrick Simmons looked at the album and stated that it was a bootleg...an album that they never got paid for. There was laughter and then he signed it. I wonder what he wrote! I found a couple of videos on YouTube from the concert that are fairly good quality from Tuesday night in Red Deer. I hope that the links remain up. Here is Jesus Is Just Alright and Long Train Running. If the Doobies are playing anywhere close, I'll plan to be there. To me, their music sounds as good today as it did years ago.